Providing aggressive representation to both Petitioner and Respondents in domestic violence settings. Having previously helped a mother secure an injunction against her ex-boyfriend who was sexually molesting her child, and having helped a client fight off false domestic violence claims from a previous roommate, we use our experience to successfully get you through all domestic violence hearings. See past Results for Domestic Violence Injunctions. 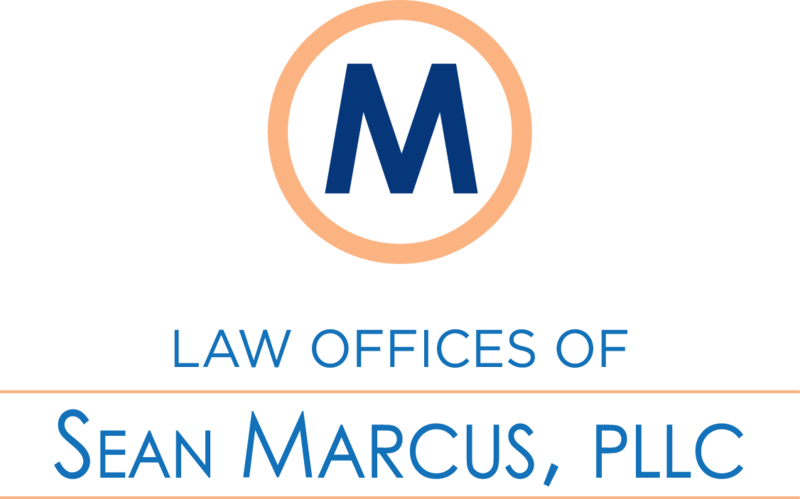 At the Law Offices of Sean Marcus, PLLC, we understand that being charged with a crime is a scary experience. While the prospects of going to jail are often frightening, it is the collateral consequences that often have the greatest impact on somebody in the criminal justice system. A minor misdemeanor arrest may result in a person losing their driver’s license for more than a year, or a student losing their ability to obtain financial aid for college. And a felony offense carries not only an increased chance of incarceration, but also can result in the loss of the right to vote, own a gun, and even may have an impact on your immigration status. Because of what is at stake, we know how important it is to have an aggressive attorney on your side who can help you avoid these consequences and we have a proven track record of obtaining fantastic results for our clients.